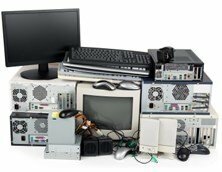 Recycling electronics in Manhattan Beach is easy and efficient with All Green Electronics Recycling. Recycling electronics in Manhattan Beach is easy and efficient with All Green Electronics Recycling. Manhattan is an affluent beach town in Los Angeles County, located within commuting distance from Los Angeles. Help keep this city and its beaches clean and e-waste free with All Green!